I was about half a mile through my walk when I saw them in the distance. There were three of them, rather large, down a darkened path on the corner I was approaching. One was definitely black and another appeared to be a black and white mottled color. This was strange because I didn’t know anyone who had dogs fitting this description in my neighborhood. My heart began to race and I knew the smartest thing to do was turn around as quietly as I could and head for home, hoping they hadn’t noticed me. One unknown dog is bad enough, but three could have dire consequences. I turned around and walked quickly toward home, glancing back a time or two to make sure I wasn’t being pursued by a pack of dogs. All the while I was getting angrier and angrier. How dare people let their big dogs out to run around without any supervision when I was trying to get my daily exercise? This walk was my sanity and now it was getting cut short due to someone’s negligence. I planned and plotted in my head what I would say to the owner, the heated post I could make on Facebook. So much for the calming effects this walk usually affords. Whenever I got home, I explained to my husband why I was back so quickly. He, being my protector and all, said he would find out who they belonged to and talk to them. Later that day, after he had spoken with the closest neighbor to where I had spotted the dogs, we still knew nothing. She didn’t have big dogs and didn’t know who they might have belonged to. The next day, my desire to walk won over my fear of encountering them again, and thankfully, I haven’t. All I could surmise was that perhaps they were just visiting with someone or lost and they were long gone. Imagine my surprise today when my husband comes in the house with a big smile on his face and asked me if it were possible that the “dogs” were goats? He saw the neighbor again and she said there were some goats nearby that had been getting out of the fence. The animals that I saw were on the outside of the fence looking in, almost like they wanted to get back in. I had no idea anyone nearby even owned goats, so never would have considered that a possibility. 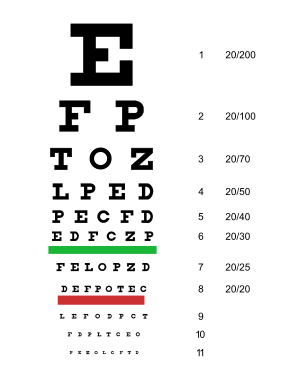 One thing I have to admit is that my eyesight isn’t what it used to be. As I’ve said many times, I love my forties and yes, I even love that I can laugh at myself and share embarrassing moments. However, I do miss my 20/20 vision and looking back on that day, it infuriates me that I lost so much peace over goats! Are dog packs generally a problem in your neighborhood. What I mean is, do they usually bother people? No, that is why it was so odd – We have mostly smaller dogs. We have had big ones that have bit people though, so I was nervous, not knowing anything about these. Most of my neighbors who have dogs that will bite, keep them fenced in, on leash, etc. I can certainly understand why you would think a dogs as big as goats might be dangerous roaming the streets in packs. Just one boxer off his leash is enough to knock me down. You’re not alone on the vision thing. I am in my 40s as well. God is so good to protect you and still manage to exercise and do things. Fear is also satan’s bestfriend but our Lord is the Name above all names and every knee shall bow! Goats are cute but I have no idea if they are harmful. Your decision to walk back was wise and safe. Blessings! Thanks for you comment! God bless!